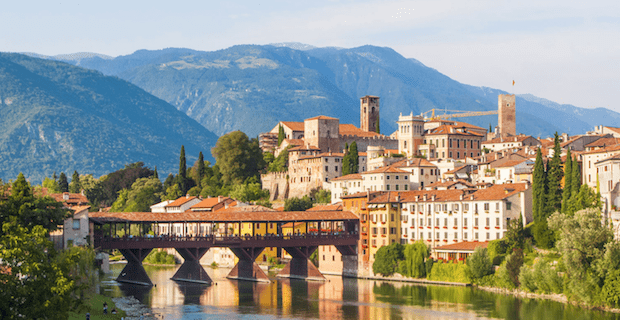 This tour of Italy’s Highlights combines Italy’s beautiful cities Rome, Florence, Venice and Milan with Italy’s charming Tuscan towns Pisa, San Gimignano, Siena plus northern Italy’s sophisticated town Verona. 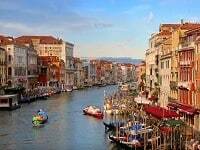 On this escorted trip through Italy, you’ll travel north from Rome through Tuscany, the Veneto, and finally to Milan. Along the way, you’ll explore central and northern Italy. The slow-paced tour itinerary includes 3-nights in Rome and Florence. This gives you time to unwind and stroll around these Italian cities. 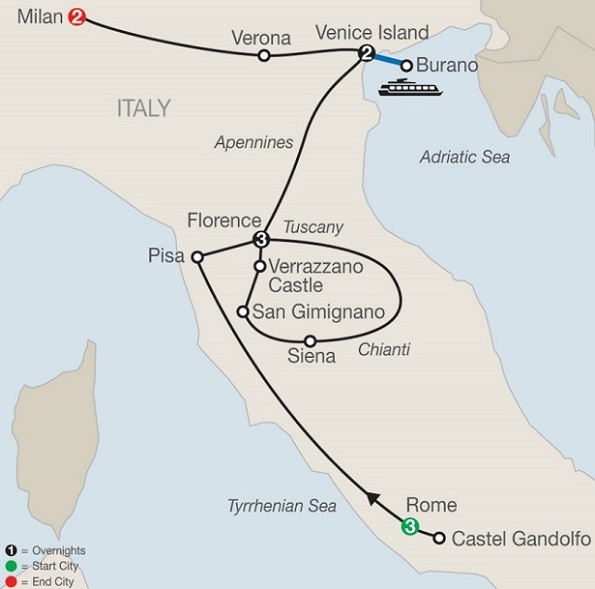 The tour itinerary includes visits to UNESCO world heritage sites including Vatican City, the historic centers of Rome, Florence, Venice, Pisa, San Gimignano, and Siena. For more information click here to review the daily itinerary below. For the price of the Rome, Florence, Venice Milan Italy tour with airfare from your preferred city submit the form or call ItalianTourism.us 800.227.1577. Airport Transfers. Arrival and departure transfer when vacation is booked with airfare. Meals: Breakfast daily, 1 lunch, and 2 dinners. Wireless Headsets to hear your guide clearly and distinctly in public places. Hotel Taxes, Hotel Service Charges and All Tips for hotel and restaurant personnel. Professional Tour Directors travels with the group from beginning to end of the tour; licensed local destination-specific guides. Click here to review the daily itinerary below. Join your Local Guide for a tailor-made itinerary featuring some of the city’s authentic jewels. A life-time experience! Enjoy an unforgettable drive through the “Eternal City” followed by a 4-course dinner at a popular Roman restaurant. Enjoy a guided visit to the famed Renaissance-era Villa d’Este. An evening you’ll never forget. Find out first-hand that the best and the most delicate food and wines originate in Tuscany. Be sure to come with an appetite! Admire the world’s greatest collection of Italian and Florentine art. Experience an unforgettable evening in Venice. Enjoy a ride in a traditional gondola, gliding through centuries-old canals, under famous arched bridges, past lavish palaces and quaint piazzas. Price published is land only. Check box next to the date of the vacation you would like to travel and click submit form. 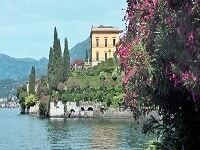 From Milan there is the option of 3-night Lake Como extension. If this is of interest check button. Today you’ll visit the Vatican Museum and Sistine Chapel. The Vatican Museum is full of treasure spanning from the ancient Egyptians, through the Etruscan civilization, to Ancient Rome and through the Renaissance and Baroque period to its contemporary art collection. After you’ll visit St. Peter’s Basilica to see Michelangelo’s Pietà and Berinis various sculptures. After you’ll travel outside Rome to the Castelli Romani to visit the Pope’s summer residence Castel Gondolfo and the gardens. This morning, you’ll visit the St. Peter in Chains Basilica (San Pietro in Vincoli) where you’ll see Michelangelo’s famous Moses. After the tour continues to the Colosseum and Roman Forum. This afternoon you have time to stroll around Rome or you may join an optional tour of Rome. Today you’ll depart Rome to visit the famous Renaissance city Florence. Along the way you’ll enjoy an included excursion to Pisa. There marvel at the Field of Miracles, the lovely square where the Pisa Duomo, Baptistry, and Bell Tower are located. The Pisa Bell Tower is known as the Leaning Tower of Pisa. The entire piazza is a work of architectural mastery. In Siena, enter the impressive medieval walls and walk through ancient, narrow lanes to Piazza del Campo, site of the biannual Palio, Siena’s spectacular medieval-style horse race. Then, continue through unforgettable landscapes of gently rolling, vine-clad hills to hilltop San Gimignano, and walk through the most picturesque of Italy’s perfectly preserved medieval towns. You’ll also enjoy a Chianti wine tasting in Tuscany’s hills. During your walking tour with a Local Guide, visit the ACADEMY OF FINE ARTS to see Michelangelo’s celebrated David. Admire the magnificent cathedral, Giotto’s Bell Tower, the Baptistry’s heavy bronze “Gate of Paradise,” sculpture-studded SIGNORIA SQUARE, and visit SANTA CROCE BASILICA with the tomb of Michelangelo. The afternoon is free to shop for Florentine leather goods and gold jewelry sold by the ounce, which are attractive buys. And tonight is your chance to go out in Florence on your own. Enjoy the culinary delights of a fine Tuscan restaurant. In Verona, the medieval setting of Shakespeare’s Romeo and Juliet, take pictures of Juliet’s balcony and rub the shining breast on her statue for good luck. Next, admire the Arena, an incredibly well-preserved pink marble Roman amphitheater, where gladiators once fought. Built in the 1st century AD, it is now the magical venue for world-famous opera performances. Then, on to the dynamic city of Milan, hub of Italy’s economic miracle. Click here Rome, Florence, Venice, Milan Italy tour highlights and itinerary map. 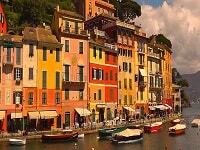 Submit form or call us today 800-227-1577 to book your Rome, Florence, Venice, Milan Italy tour package.